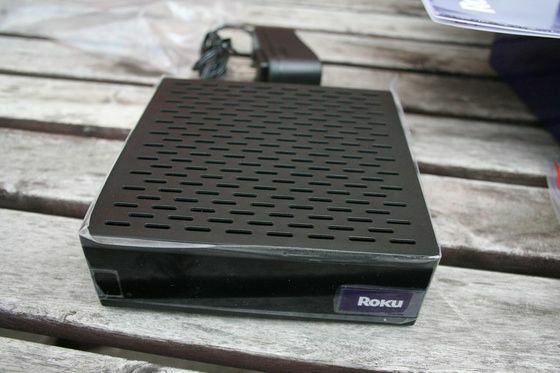 The Netflix Player by Roku is the first in what portends to be a long line of devices designed to download and stream movies from Netflix. While in its current incarnation the device is fairly limited, I can firmly recommend it with the expectation that the movie selection will improve. How does it work? You buy the box for $99 and connect it to your TV via HDMI, composite, or component. You connect the stereo outs to your receiver or run out digital optical. You must have a Netflix account to make it work, but then you simply connect the box to the Internet via Wi-Fi or Ethernet, send a request to Netflix, and then type in a code in your Netflix account. The box is paired and you’re ready to add digital movies to the box. The movies are mostly oldies but goodies. There were very few first-run titles in the mix but there were older seasons of some popular television shows like Weeds and The Office. Right now there are about 10,000 titles in the mix, enough to keep most die-hard movie fans occupied. The only problem is that some of the movies I really wanted to watch from Netflix — which are already available on DVD — weren’t available for streaming. This is not Netflix’s fault, obviously, but if you’re a first-run movie fan I’d stay away from the box until you’re sure the service is for you. At $99, the box isn’t prohibitively expensive and the technology may end up in televisions soon so questions about an external box might be moot.